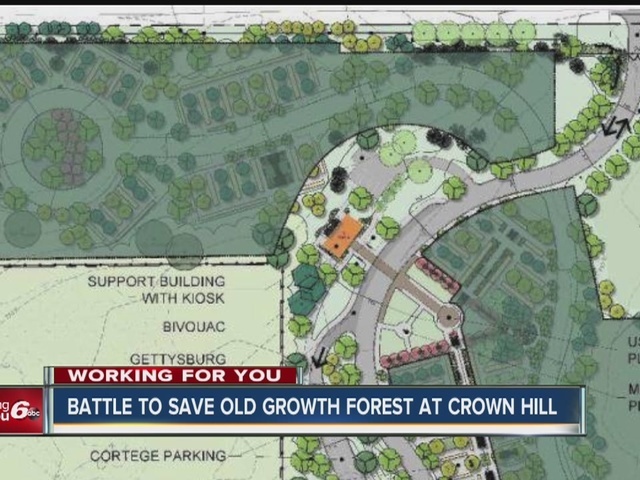 INDIANAPOLIS -- Environmentalists are concerned with a proposal that would turn the north woods at Crown Hill, into a veterans cemetery, destroying what they call an ‘old world’ forest. The Department of Veterans Affairs purchased the 14.75 acres from Crown Hill Cemetery. They plan turn it into a veterans cemetery for cremated remains. But environmentalists are concerned about saving the forest, which they say is one of the oldest in the city. A 380 page book published about Crown Hill talks about how special those woods are, saying that it is home to over 47 species of native trees. Jeff Stant of the Indiana Forest Alliance says their group is passionate about the preservation of the forest. The VA says they are well aware that people are upset with their plan, and they’re working on ways to make everyone happy.